Tucked away in the Intercontinental Hotel in Montreal is the absinthe bar, Sarah B. In the plush private room (one of two that can be rented for special events) I’m about to have my first experience with the green fairy. Absinthe. Moulin Rouge and Amsterdam, but in Canada. Once upon a time, absinthe used to be a banned substance, and there’s still a bit of mystery and illicitness that surrounds this drink. The bar is named after Sarah Bernhardt, a famous actress in France in the late 19th century, and Alphonse Mucha’s muse. This was a time of extreme popularity for absinthe. Thujone, a chemical no longer present in absinthe, led to hallucinations. 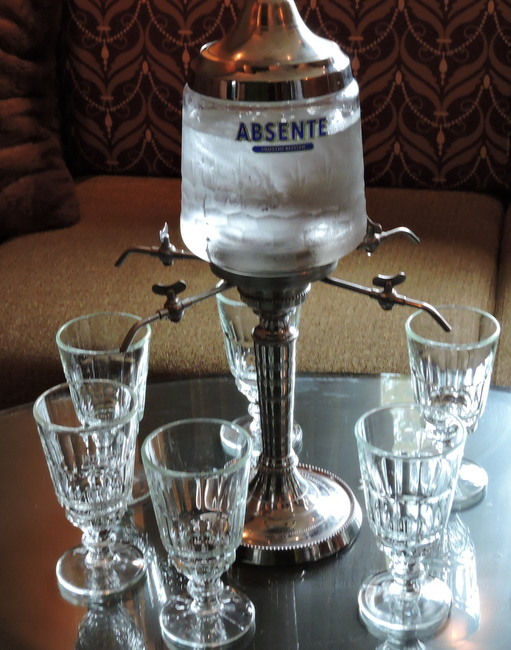 Although the drink was banned in parts of Europe and the USA, in Canada absinthe was never illegal. It’s very high in alcohol levels, 46% to 50% percent alcohol. The decanter is brought out and we all ooh and ahh. Absinthe looks a lot more complicated than I thought! The absinthe is poured into the glasses. 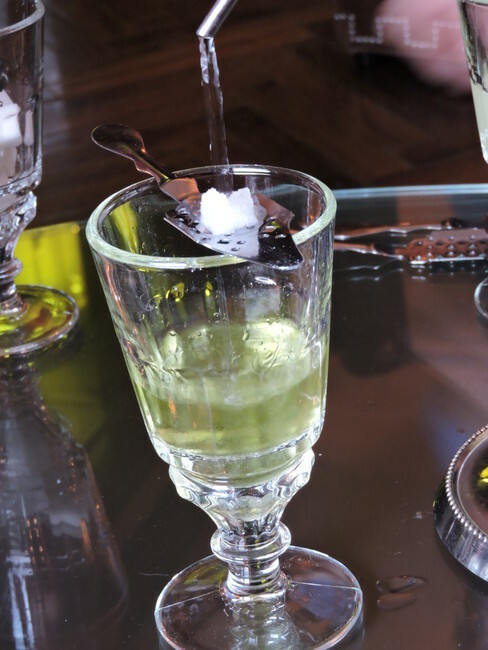 A special slotted absinthe spoon is placed over the glass, and topped with a sugar cube. The water is then turned on to a slow drip, and the absinthe is diluted in three to five parts of water. It was super strong and tasted of anise, very similar to Ouzo. I diluted mine a bit more before continuing until it was diluted to my liking. 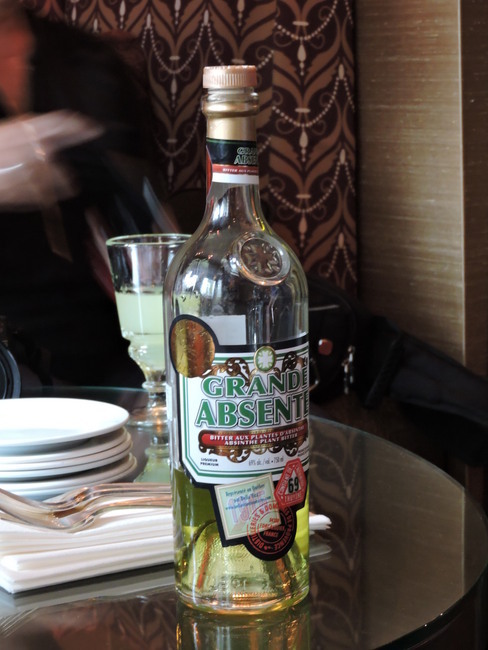 No, I didn’t see the green fairy, but it was definitely a unique experience! 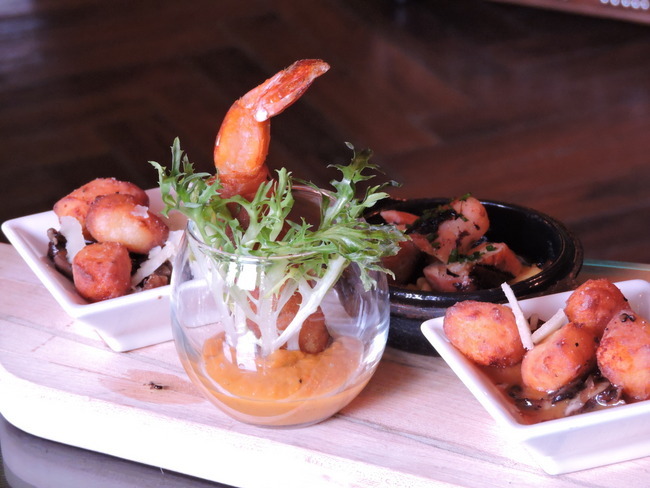 While we sipped on our absinthe, we were given delicious dishes to nibble on. 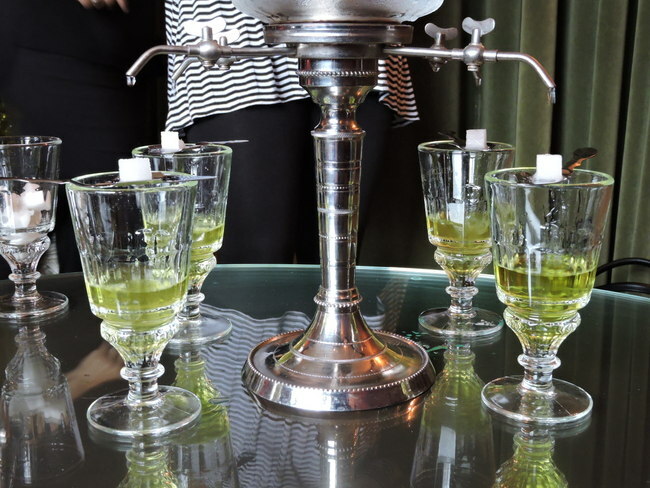 The traditional absinthe experience is available for two people for $73.60 and includes an introduction to absinthe, an entrée and of course, absinthe.